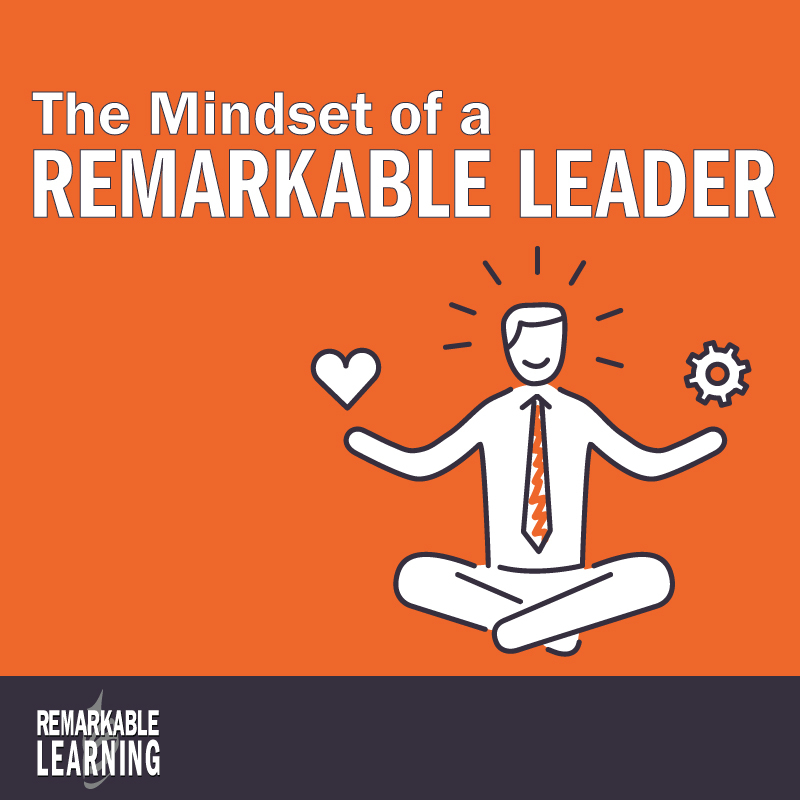 In this thought-provoking and powerful webinar, you will dive deeper into the important, and too often unexplored area of leadership success, mindset. Your mindset is the collection of thoughts and beliefs that shape your thoughts. Your mindset determines your attitude and defines how you interpret the world. Your mindset creates your thoughts, and those thoughts drive your actions. Beliefs equal thoughts, thoughts yield actions. If we don’t align our mindset with the skills we want to employ (or teach others), there is virtually no chance of applying a skill consistently (if you can even really learn it at all). And while there isn’t a perfect set of the “right” mindsets for leadership effectiveness, every mindset will impact the way a person leads. And if you understand their impacts, you can adjust and choose mindsets that support the success you want to create as a leader, and as a human being. Since leadership is the collection of actions that we take that cause people to choose to follow us or not, it makes sense that we understand what leads to our actions, doesn’t it? That’s why we believe that only teaching skills is so limiting and so unlikely to create long term, lasting change. If you want to change something, you must start at the source. If you want to repair something, you must eliminate the root cause. If you want lasting leadership development, you must start with mindset. In this thought-provoking and powerful webinar, best-selling author and leadership expert, Kevin Eikenberry, will dive deeper into this important, and too often unexplored area of leadership success. At the end of the day your mindsets are yours – the goal of this webinar is to challenge you to consider these mindsets, and make some choices about whether the ones you have are the ones that will be serve you. 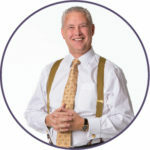 Kevin Eikenberry is a world renowned leadership expert, a two-time bestselling author, speaker, consultant, trainer, coach, leader, learner, husband and father (not necessarily in that order). Kevin is the Chief Potential Officer of The Kevin Eikenberry Group, a leadership and learning consulting company that has been helping organizations, teams and individuals reach their potential since 1993. Kevin’s specialties include leadership, teams and teamwork, organizational culture, facilitating change, organizational learning and more. He has been named to many exclusive lists: In 2014 and 2018 to Inc.com’s Top 100 Leadership and Management Experts in the World and 100 Great Leadership Speakers for Your Next Conference, American Management Association’s Leaders to Watch in 2015 - 2018 and Top Sales World’s 2015 Top Sales & Marketing Influencers, as well as the Best 50 Leadership Blog Sites from Ready to Manage in 2016. Kevin’s philosophy in business and in life is that every person and every organization have extraordinary potential. Investments of time, energy, focus and money are required for that potential to be realized. He believes learning is an active, ongoing process, not a passive, one-time event. Learning, work and life should be fun; and, if we are doing it right, work (and learning) is play. He has worked with Fortune 500 companies, small firms, universities, government agencies, hospitals, and more. His client list includes the American Red Cross, Chevron Phillips Chemical Company, Cirque du Soleil, Comcast, Dell, John Deere, Purdue University, Sears Canada, Shell, Southwest Airlines, US Food & Drug Administration and Verizon. He is the bestselling author of Remarkable Leadership: Unleashing Your Leadership Potential One Skill at a Time, a leadership primer designed to help you learn and master the 13 competencies of remarkable leaders; and Vantagepoints on Learning and Life, a collection of his email essays on learning from everyday experiences. His other books include #LeadershipTweet: 140 Bite Sized Ideas to Help You Become the Leader You Were Born to Be, and the co-author of From Bud to Boss: Secrets to a Successful Transition to Remarkable Leadership, and The Long-Distance Leader: Rules for Remarkable Remote Leadership - just announced as the 2018 Best Business Book by Soundview Media. 1) Online using the register/order buttons above. The DVD is a video recording of the webinar. You will also receive a link to download the presentation materials. DVDs can be played in a DVD player or a DVD drive of a computer. DVDs cannot be played in a CD player. The DVD gives you the full presentation to watch and rewatch as often as you like. Please allow 2-3 weeks after the date of the event. The Digital Download is a downloadable recording of a webinar. When the event is over, you will receive an email with a link to the website where you can watch a synchronized recording of the audio and PowerPoint portions of the webinar. Please allow 1-2 weeks after the date of the event to receive this information.